I proudly participated in Students United for Public Education (SUPE)'s #ResistTFA movement at UCLA last spring before I graduated. 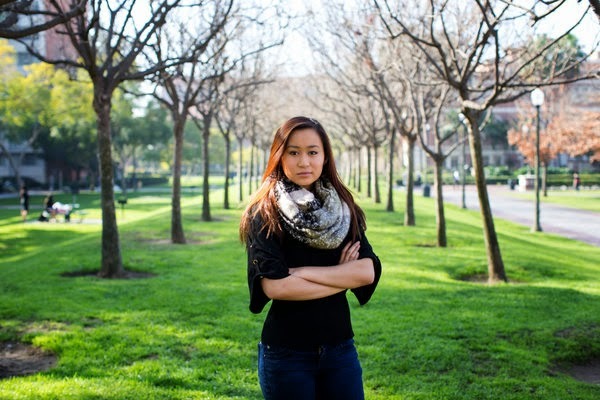 Meeting educator Hannah Nguyen of SUPE National, when she was creating Teach for America (TFA) awareness at all Los Angeles universities, was an honor. Her ability to speak truth to power and privilege is peerless. I would start a #ResistTFA at my current school, but since it's a social justice law school, none of us would ever consider joining TFA in the first place. Among its myriad failings, shortcomings, and the abject damage it has done to low income communities, TFA can count two accomplishments. First, it amassed a fortune for Wendy Kopp. Second, it provided the plutocrat class with yet another vector to undermine the remains of the public commons. Professor Mike Klonsky's thoughts on this are worth reading as well. I'm so happy to see Ms. Nguyen beginning to get the credit she deserves for all her hard work. All I can say is that the Schools Matter staff have known her since back in the day. 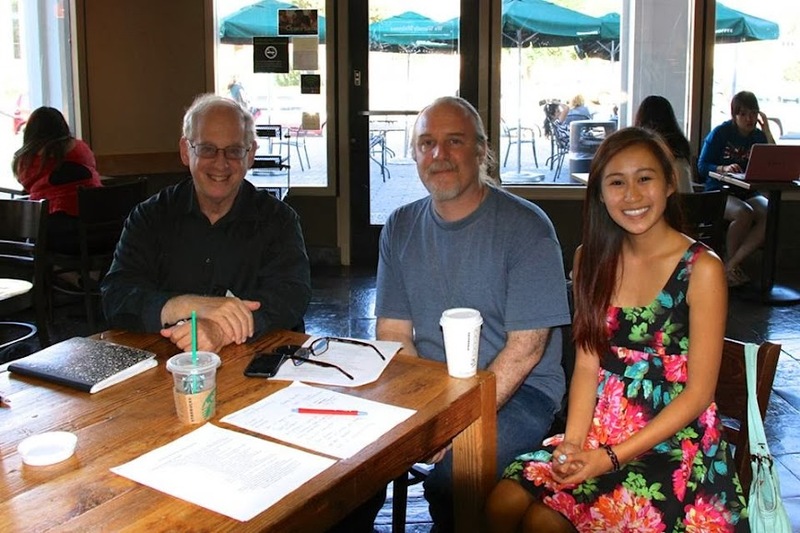 Right to left, Hannah Nguyen, Robert D. Skeels, and Dr. Stephen Krashen. August 25, 2013 at University of Southern California. Hannah is 98 pounds of pure dynamite... I saw her in action at the "Michelle Rhee Teacher Town Hall" where she blasted Michelle Rhee and the right-wing corporate reformers on the stage---"faux-Dr." Steve Perry, and sell-out George Parker (the former D.C. Teachers Union leader who gets a six-figure a salary to read the "I'm a born-again union-hater" scripts that Rhee provides him).